Any tribute that tries to be as comprehensive as the Grammy Awards’ annual ‘In Memoriam’ segment is bound to leave a few people out. But when the Recording Academy aired its remembrance of the musicians we lost in 2013, rock fans noticed one particularly glaring omission: Slayer guitarist Jeff Hanneman. Hanneman’s death last May sent shockwaves through the music world, and although even the most passionate fan understands that someone is always going to get snubbed by these things, it still came as something of a shock to see that the Academy could forget such an influential and respected musician. Angry fans took to Twitter and Facebook to vent their frustration following the segment — which also left out a number of other rock artists who passed away during 2013, including former Iron Maiden drummer Clive Burr, Vixen founder Jan Kuehnemund and former Devo drummer Alan Myers. 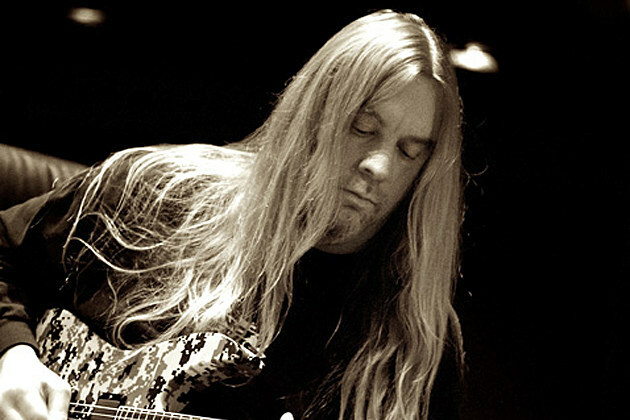 It’s certainly unfortunate that the Grammys missed their chance to pay tribute to Hanneman, but fans can console themselves with the knowledge that his uncompromising music stood in proud defiance against establishment institutions like awards shows anyway — and while he may have missed out on a few moments on a screen during a glitzy telecast, his work’s impact will continue to be felt for decades.